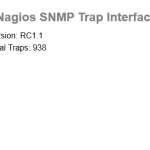 The Nagios SNMP Trap Interface is a PHP frontend for the MySQL logging that snmptt is capable of. snmptt takes the trap, and logs it directly to the MySQL database which is where NSTI picks it up and starts dealing with it. It sure beats tailing the /var/log/snmptt/snmpttunknown.log to see if you’re missing misconfigured SNMP traps, as NSTI provides a frontend for the snmptt_unknown traps as well. NSTI also allows search by most fields that are available. So if you want to see the last time this trap came in, or if its some epidemic across all your SNMP trap devices. You can also narrow it down to a single host, and see when it sent each previous trap. Its aimed at making it easy to sort through your traps, thats the bottom line. You can also archive traps for later use, in an effort to keep the normal trap table somewhat empty. It also allows pagination of traps, only want to see 100 traps at a time (only?) no problem. Prefer 30? That is cool too. Thoughts? Ideas? 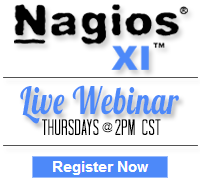 Email me at nscott@nagios.com. I’m trying to make this piece of software as useful as I can so please, I am very interested in outside input. I should really appreciate for the work done by building this NSTI. 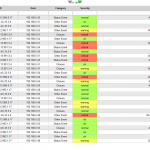 It is really useful to manage the snmp traps. I have few suggestions and I am sure I am seeing lot of them on general support forum which you guys should work on.. The traps are being logged into MqSQL db but still there is no means of accessing the data in reports. It would be really cool if we can use this data to generate some reports and dashboards.